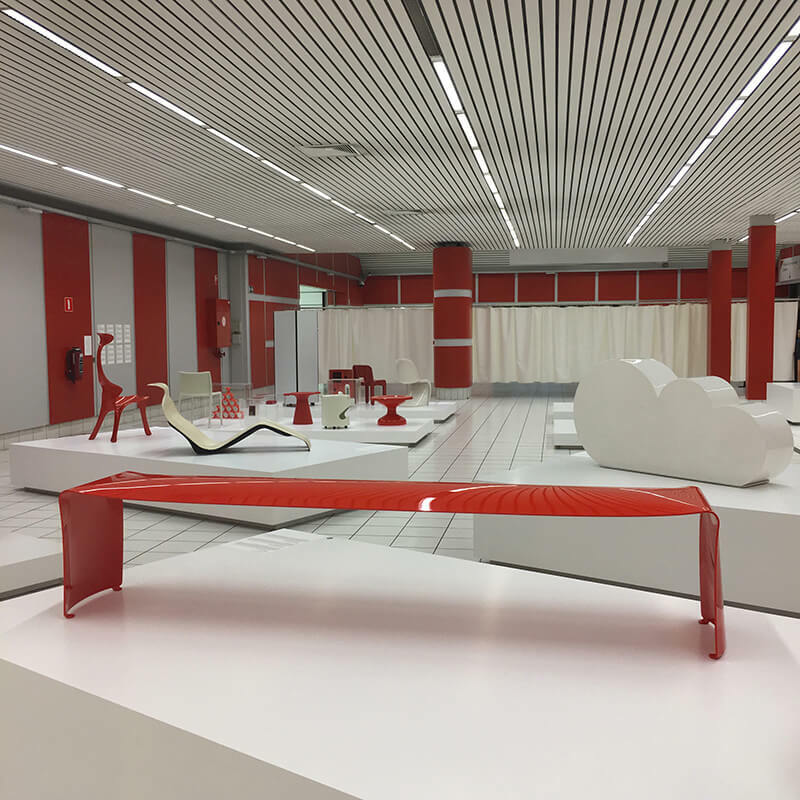 There are plenty of architectural and design collections at KANAL-Centre Pompidou based in Brussels, that are presently on show at the ancient Citroen garage, that was turned into a location enlivened by a rich event scheduling. 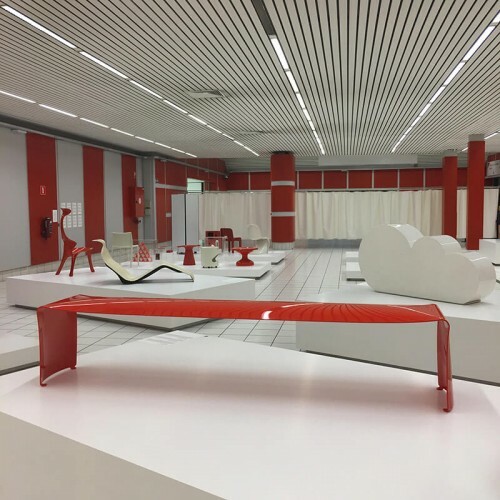 “En Rouge et Blanc” (Red and White) is one of the latest exhibitions, scheduled to be held until January 9th 2019. 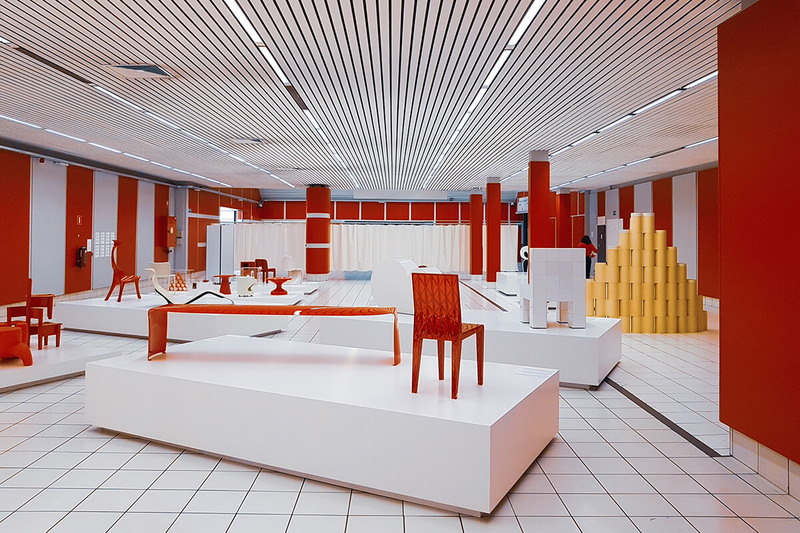 It is a collection of design objects coming from both Centre Pompidou and ADAM.Brussels Design Museum. 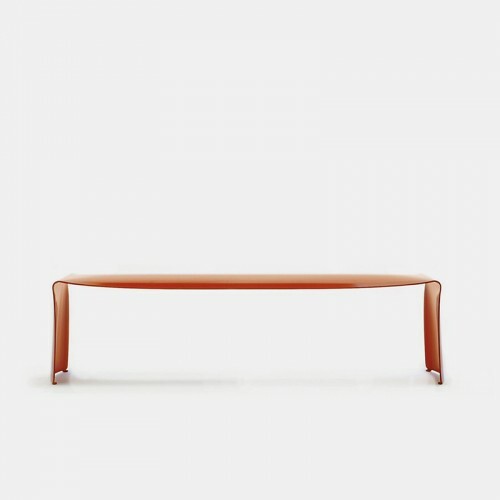 In this stimulating context, where historical pieces developed by great names from international design can be admired, visitors can also see MDF Italia Le Banc, the bench made of painted bent aluminium sheet, designed by Belgian designer Xavier Lust, that is a perfect representation of the osmosis of shape and colour. 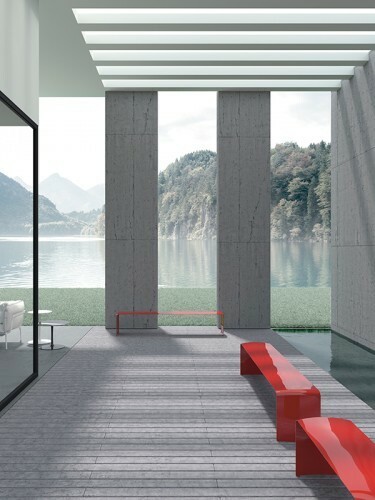 That in this case is red, with its liveliness and emotional charge. A 6 mm thick only sheet, through which Xavier Lust wisely intertwined material, function and design, giving a piece o furniture that leaves an unmistakable sign in the space. 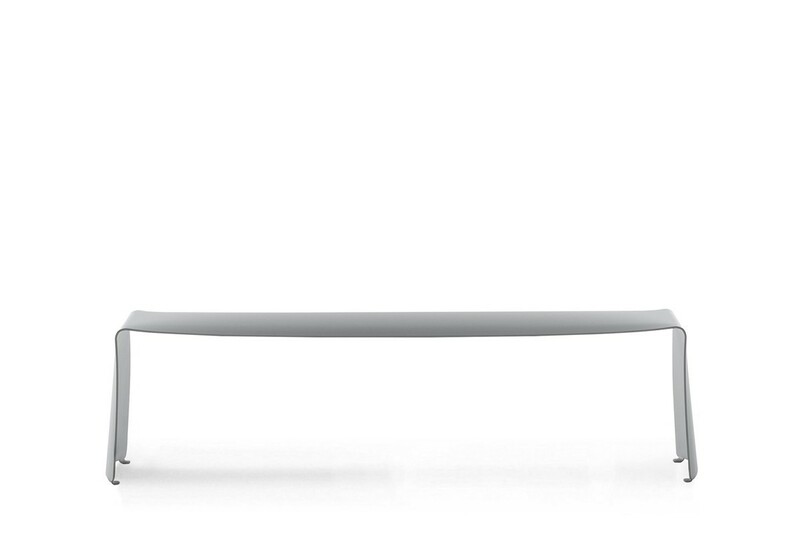 Le Banc confirms to be an icon of lightweight and compactness, capable of inserting in private residences, as well as in museums, gardens, meeting rooms, public venues.